Business owners in Denver rely on high quality copiers to get the job done. Nearly every business depends on a copier machine to ensure that record keeping is effective and to ensure that customers have access to the information they need. We understand that not every business needs a high capacity copier. This is why we offer several different Xerox copiers for our Denver customers. 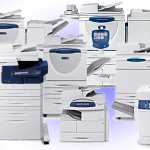 We offer everything from basic copiers to high end office production machines that can scan, copy, fax and print. We believe that every business should have the technology necessary to function. But, we don’t believe in spending money on unnecessary technology. Our professional consultants will be more than happy to get to know your business needs, in order to make recommendations that will help you in the most cost effective manner possible. Contact us today and find out how we can help you find the best solution for your unique set of needs.